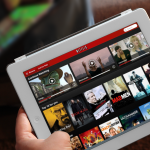 Netflix cracks down on proxy users, but how effectively? It appears that the game of cat and mouse has begun, and Netflix is trying to make good on its Jan. 6 promise to crack down on proxy users accessing its global catalog to stream media not available in their home country. Australian VPN provider uFlix recently noted that its users began receiving an error message on Jan. 19 when trying to access United States Netflix content. The VPN provider noted that the problem was only affecting a few users, but it expected the number to grow. Since uFlix makes a business out of providing access to U.S. Netflix and Hulu Plus content to Australians, it quickly began working to solve the problem. It didn’t take long, and within two days uFlix tweeted that a fix was in place. Perhaps referring to this as a game of cat and mouse is a bit of a misnomer. In fact, it’s more like a game of Whack a Mole, because of how Netflix has to operate to find these VPNs and block access to them. In a statement at the Consumer Electronics Show, Netflix’s chief product officer Neil Hunt explained the difficulty in maintaining blocks against the VPN providers. [We] continue to rely on blacklists of VPN exit points maintained by companies that make it their job. Once [VPN providers] are on the blacklist, it’s trivial for them to move to a new IP address and evade. In other words, when a VPN exit point gets blacklisted, that provider just has to change Internet addresses. This is a pretty easy thing to do, so this game of trying to block non-U.S. users from accessing Netflix’s catalog is bound to prove frustrating for the streaming media provider. As several of our readers have noted, the content providers themselves truly need to get with the times of our global economy and allow their movies and television shows worldwide streaming.